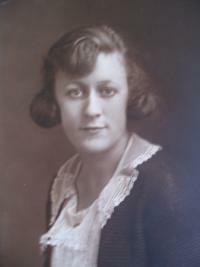 Florence Agnes Mitchell was born on 23 September 1899 at James Street, Waterbury, Connecticut. J.F. Hayes, M.D. was the physician. [S711] Florence Mitchell entry, Birth Registration, This birth was recorded in an index entitled Births: 1898-1902, Volume 5, PP. 96-214, Town Of Waterbury, on Page 140. (23 September 1899). [S283] John Mitchell household, 1900 United States Federal Census, New Haven, Connecticut, population schedule, Waterbury, ED 430, sheet 18B, dwelling 154, family 325. [S284] John Mitchell Jr., 1910 United States Federal Census, New Haven, Connecticut, population schedule, Waterbury, ED 474, sheet 2A, dwelling 5, family 28. [S285] John J. Mitchell household, 1920 United States Federal Census, New Haven, Connecticut, population schedule, Waterbury, ED 443, sheet 25A, dwelling 199, family 499, shows Florence A. [S286] Edward Coughlin household, 1930 United States Federal Census, New Haven, Connecticut, population schedule, Waterbury, ED 223, sheet 5B, dwelling 40, family 104. [S60] Waterbury Connecticut Street Directory, Mrs. Florence M. Coughlin, 1958; Section C, Page 279. [S157] CT Death Index, 1949-2012, Florence Coughlin, State File Number 25013, 19 November 1986. [S814] The Waterbury Republican, 20 November 1986, Page A5. [S711] Florence Mitchell entry, Birth Registration, This birth was recorded in an index entitled Births: 1898-1902, Volume 5, PP. 96-214, Town Of Waterbury, on Page 140. The entry shows the father as John Mitchell. (23 September 1899). [S285] John J. Mitchell household, 1920 United States Federal Census, New Haven, Connecticut, population schedule, Waterbury, ED 443, sheet 25A, dwelling 199, family 499. [S157] CT Death Index, 1949-2012, Florence Coughlin, State File Number 25013, 19 November 1986,shows father's surname as Mitchell. [S814] The Waterbury Republican, 20 November 1986, Page A5, obituary shows she was the daughter of John J. Mitchell. [S711] Florence Mitchell entry, Birth Registration, This birth was recorded in an index entitled Births: 1898-1902, Volume 5, PP. 96-214, Town Of Waterbury, on Page 140. The entry shows the mother as Ellen Dawson. (23 September 1899). [S817] The Democrat, 18 July 1935, Page 11, obituary shows survivor Mrs. Edward J. Coughlin. [S814] The Waterbury Republican, 20 November 1986, Page A5, obituary shows she was the daughter of Ellen (Dawson) Mitchell. [S283] John Mitchell household, 1900 United States Federal Census, New Haven, Connecticut, population schedule, Waterbury, ED 430, sheet 18B, dwelling 154, family 325, shows age 8 months. [S284] John Mitchell Jr., 1910 United States Federal Census, New Haven, Connecticut, population schedule, Waterbury, ED 474, sheet 2A, dwelling 5, family 28, shows age 10 and birthplace as Connecticut. [S285] John J. Mitchell household, 1920 United States Federal Census, New Haven, Connecticut, population schedule, Waterbury, ED 443, sheet 25A, dwelling 199, family 499, shows age 19 and birthplace as Connecticut. [S286] Edward Coughlin household, 1930 United States Federal Census, New Haven, Connecticut, population schedule, Waterbury, ED 223, sheet 5B, dwelling 40, family 104, shows age 29 and birthplace as Connecticut. [S159] Florence Coughlin, 046-10-7364, Social Security Death Index, 1935-2014,, shows date of birth as 23 September 1899. [S814] The Waterbury Republican, 20 November 1986, Page A5, obituary states that she was born in Waterbury. [S286] Edward Coughlin household, 1930 United States Federal Census, New Haven, Connecticut, population schedule, Waterbury, ED 223, sheet 5B, dwelling 40, family 104, shows age at marriage as 26. [S157] CT Death Index, 1949-2012, Florence Coughlin, State File Number 25013, 19 November 1986,shows widow of Edward Coughlin. [S814] The Waterbury Republican, 20 November 1986, Page A5, obituary shows she was the widow of Edward J. Coughlin. [S871] "John Mitchell's Notebook,", shows Florence Mitchell Coughlin married Edward Coughlin. [S814] The Waterbury Republican, 20 November 1986, Page A5, obituary shows she resided at 85 Hill Street. [S159] Florence Coughlin, 046-10-7364, Social Security Death Index, 1935-2014,, shows last residence as Waterbury, CT.
[S814] The Waterbury Republican, 20 November 1986, Page A5, shows that she died Wednesday at St. Mary's Hospital (The paper was published the following day, Thursday the 20th. [S822] Raymond McDonald, "Florence Mitchell Family Group Sheet", shows full death date and place.